New. Trade paperback (US). Glued binding. 709 p.
New. Trade paperback (US). Glued binding. With dust jacket. 480 p. Intended for a young adult/teenage audience. New. Sewn binding. Paper over boards. With dust jacket. 450 p.
This should be required reading for any adult interested in today's food - how it is grown and how it is processed. Hard facts presented in an well written style. Great book, brings out why the food industry may be the next big tobacco law suit. If you are not eating organic foods now you will be after you read this book. remarkable walk through modern food industry. but this is PERSONAL -- it's what we eat! my grocery/supermarket experience is forever changed. highly recommended -- I handed off my copy as soon as I'd read the last chapter, and ordered another! This is an excellent book. It opened my eyes to a lot of what happens in the food industry. 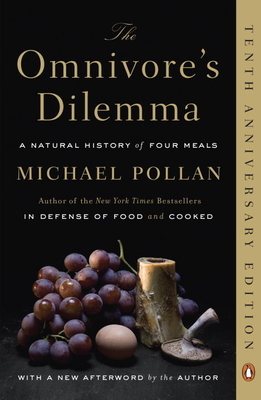 The author travels and follows his meals from start to finish, with the result of a change in philosophical beliefs and a surprising connectedness with food.